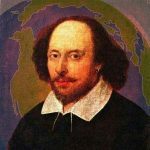 What does it feel like to watch Shakespeare’s darkest story of civil war in a region whose past and recent history has been written by endemic conflict? Bitola’s Henry VI Part Three gave an affective answer. When I saw this show at year’s Globe to Globe, I was thrilled by its kinetic dynamism and visual translation of Shakespeare’s poetic imagery. All those elements impressed me again last night. But the Macedonian audience and theatre space also made this performance moving in a specially grounded way. The Bitola actors reached far beyond the surface brutality and lamentations of Shakespeare’s script, whose repeated death scenes can begin to feel numbing in lesser productions. Under John Blondell’s creatively focused direction, they kept our hearts and minds engaged through continual sharply meaningful contrasts of violence, sardonic comedy, and lyricism. The fighting looked and sounded different within the Bitola stage’s hard shiny walls and crashing metal doors, through which one caught occasional glimpses of a primitive open-mouthed raven on the back wall. Battle scenes were effectively stylized and individualized, danced or mimed to varied Macedonian folk-rhythms. In the first of these (Wakefield), soldiers in black muscle-shirts bashed, parried, and stabbed imaginary enemies with tribal-looking wooden staves in slow motion, suggesting the anthropological layers of Balkan wars. The heart of this production’s political satire was the hilarious scene at King Lewis’s court, which also showcased its corps of powerful women (or cross-cast men). There Queen Margaret (Gabriela Petrushkevska) and Prince Edward (Nikolche Projchevski) have retreated after Henry’s defeat. Clowning Macedonian servants led by the superb comic timing of Ogden Drangovski (also a wired and lanky King Edward) downed a few rounds to spirited Macedonian music before the aristos enter. Margaret, losing self-discipline for the first time, chases her bitterness with rakija, while her bratty son switches from an endless stash of boiled sweets to the hard stuff. Warwick (an intense Sonja Mihajlova throughout the play) and Margaret clash. The coquettish Lady Bona (Valentina Gramosli, later doubling as the sexually and maternally ambitious Lady Grey) gyrates her fantasies of royal marriage to the new English king. Lewis (Kristina Hristova Nikolova) aggressively fondles Prince Edward (the Globe production went no further), finally shoving his head between her legs for some extended pleasure. Letters of Edward’s impetuous marriage to Lady Grey arrive. Margaret turns furiously sober, Lewis is outraged (by what interruption? ), Bona wails, and Prince E fumbles gallantry to his new father-in-law Warwick, now fiercely but tragically vengeful. Much of Bitola’s musical irony and tenderness had to do with the heightened impact of the piano and strings, repositioned downstage from their more peripheral placement at the Globe. Quiet reveries created otherworldly juxtapositions, such as when the York brothers wonder at the three suns that appear before they learn of their father’s savage death, or when they arabesqued floating black balloons before the final slaughters at Barnet and Tewkesbury. Pulsating rhythms drove the traditional Macedonian oro, danced in a circle by soldiers around Margaret, who was spiraled into tragic vertigo in her flaming red dress. Perhaps the most powerful marriage of music and movement was Warwick’s threnody, which transformed the worldly farewell of Shakespeare’s text into a spinning bridal folkdance. I’ve written elsewhere about last year’s Globe production and could say much more about this locally nuanced performance in Bitola. But for reasons of space I’ll leave that to a future piece about the Festival overall.